The new brand new upgrade design, using high quality thick steel, durable. The bed head adopts ABS composite bed head, which has high stability and free loading and unloading. The bed frame is welded by steel, which has better bearing capacity and stability. The bed surface is stamped and formed by imported cold plate, which is firm and durable. The aluminum alloy folding guardrail and the one-touch handle are easy to operate, the ABS telescopic rocker and the rocker adopt an overload protection system. The bottom four wheels feature centrally controlled casters for maximum stability and no noise. Scope of application: use in family, community medical care institutions, nursing homes, and geriatric hospitals. 1. 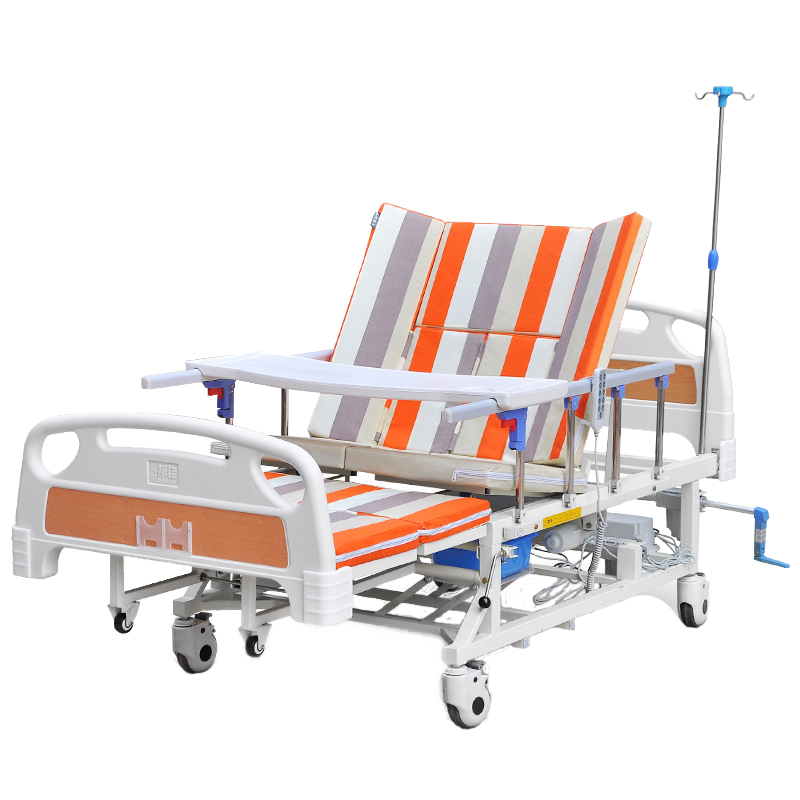 Solve the problem of long-term bed rest patients’ urination, shake the handle to raise the potty, and use the back and foot adjustment functions to enable the patient to perform the urine in the most natural sitting position. 2. ABS table board is detachable and can be removed at the bottom of the bed when not in use. 3. 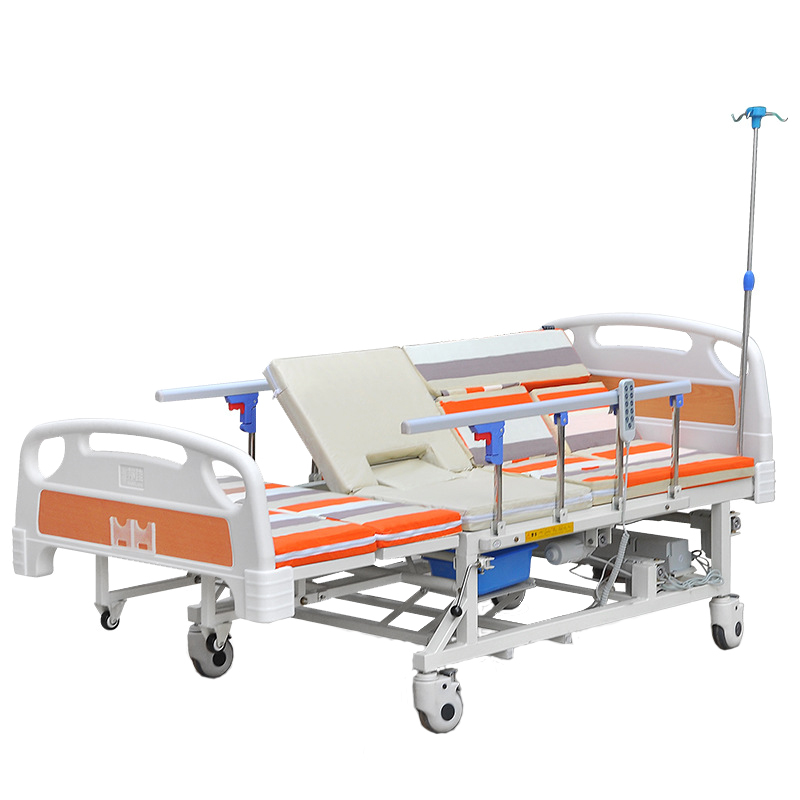 The bed head and the bed end are detachable, which is convenient for the nursing staff to wash the head, wash the feet and massage the patient. 4. There are guardrail protection devices on both sides to prevent the patient from slipping and the guardrail can be folded. 5. 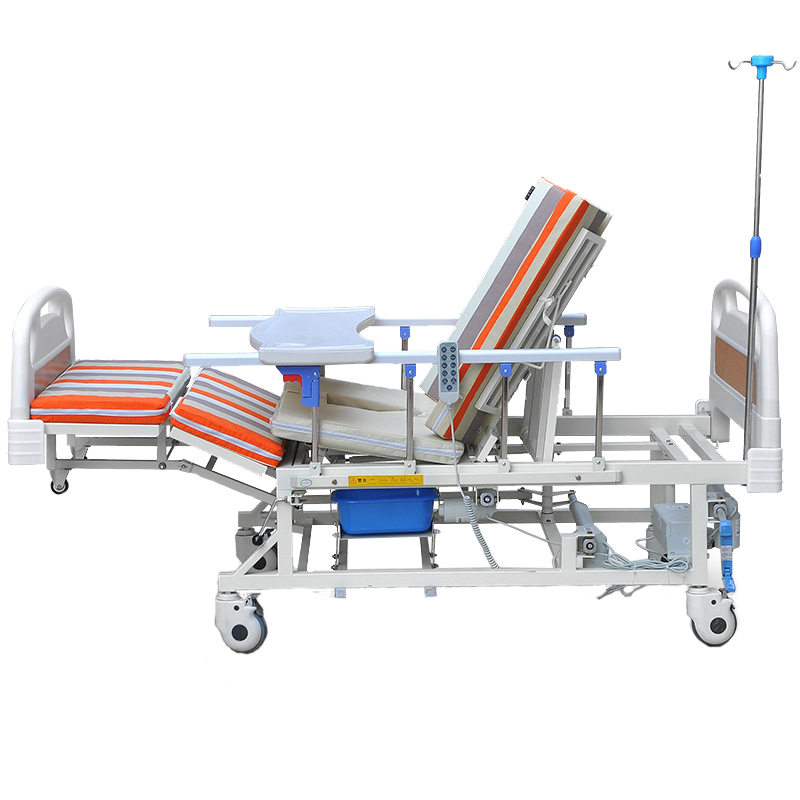 The nursing bed can be moved freely, it is convenient for the nursing staff to clean, the casters are equipped with brake devices, and the nursing bed can be fixed at any time.